Adam, our president, is a senior Chemical Engineering Major from Columbia, Maryland. He’s really excited for the experience as a whole. BSC amazes him every year; he believes it is such a unique and special thing that so many people can come together in celebration of blackness. Amani Hill, our vice-president, is a junior from Cleveland, Ohio. She is double majoring in English and Film & Media Studies and is passionate about telling black stories. This year at BSC, she is especially excited about seeing so many new black faces on campus and being able to engage in dialogues with people that have a diverse range of experiences. BSC is such a great opportunity to hear black stories, so Amani can’t wait to meet you all! Jaster is a junior from Marietta, Georgia. He is majoring in Philosophy and Political Science with a concentration in American Law and Justice. He is very excited to reflect on aspects of the black experience that impact us all. There is nothing more empowering than receiving support from people with similar experiences to us and BSC is an incredible event through which to do this. Zyria is a sophomore in Trumbull College at Yale. She's a prospective African-American studies major from Gaffney, South Carolina. Zyria is on the step-team and loves soul food and music. She's super excited to have meaningful discussions and make connections with fellow college students! Richard is a sophomore from the Southside of Chicago, Illinois. Although undeclared in his major, he is undoubtedly excited for the opportunity to work alongside the talented people helping to put together the conference. He cannot wait to engage with the many beautiful, black faces attending BSC! Mariko is a sophomore majoring in the History of Science, Medicine, and Public Health. She calls Los Angeles home when she’s not in Connecticut. This year, she is really excited about all of the tangible mental health tools and strategies that people can take away from the conference this year, and, of course, to see all of the beautiful Black faces that we are blessed with every year. Clyde is a MBA candidate at the Yale School of Management (SOM). Prior to SOM, Clyde worked as a Subsea Engineer for Chevron Corporation in Houston, TX. Clyde is a native of Memphis, TN and a graduate of Tuskegee University with a Bachelor of Science in Electrical Engineering. He is excited about the engaging conversations and the resulting actions that will come out of the Black Solidarity Conference. Reyanna is a sophomore from Evanston, Illinois. She’s currently undeclared in her major, but she may be a prospective Mathematics and Economics major in the future. Reyanna is ecstatic about meeting conference participants from universities all over the country! Catherine is a sophomore from Maplewood, New Jersey. She’s currently undecided in her major and is excited to mix and mingle with so many beautiful black people. Elliot Wailoo is a sophomore In Saybrook College from New Jersey—he grew up in Metuchen and now lives in Princeton. At Yale, he’s interested in studying English, African American Studies, or Ethnicity, Race and Migration. He loves running, Zadie Smith, and Janelle Monáe, and he’s super excited to meet everyone at BSC! Catherine Labiran is a 2nd year MA student in African Studies. She studies the ways in which literature can be used to advance Nigerian human rights. While Catherine's hometown is London, England her roots are in Nigeria. She is looking forward to witnessing moments of unapologetic Black joy at BSC 2019. Athena is a first-year from Brooklyn, New York. She is a prospective chemical engineering major who also loves the humanities, especially English and history. 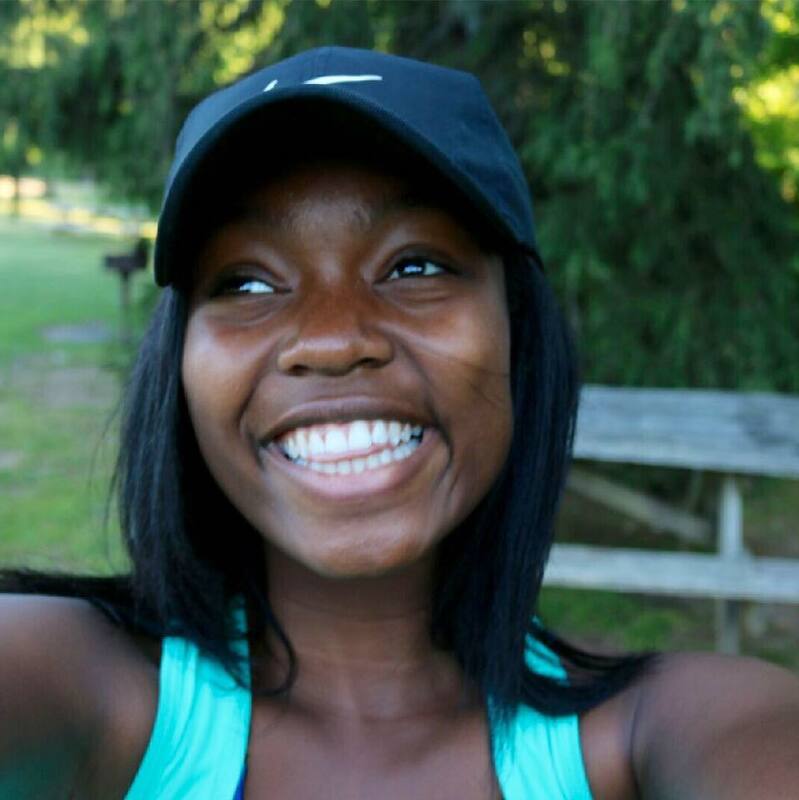 Athena is most excited to meet hundreds of peers just as in love with being black as she is. Zoe is a first-year from Albany, Georgia. She is potentially majoring in Global Affairs on a pre-med track. She can’t wait to see all of our hard work manifest into an amazing conference and to see all you beautiful people working together to improve self wellness and the wellness of the black community! Chase is from Pompano Beach, FL. She is a first year in Saybrook College and a prospective global affairs major. Chase is very grateful for the opportunity to work on the executive board for BSC this year and looks forward to helping to bring the important topic of mental health in the black community to light through this amazing conference. Eugene is a first-year in Ezra Stiles college from New York City. At Yale, he wants to study both Mechanical Engineering and African American Studies. In his free time, he enjoys listening to Kendrick Lamar and binge-watching shows on Netflix. He is looking forward to meeting great people and celebrating black excellence at BSC 2019! Eden is a first year in Morse College from Fort Collins, Colorado. She is a perspective Cognitive Science major. Eden is incredibly excited to witness and participate in the celebration of being black that is BSC! Donasia is a first-year from New Haven, CT planning to major in African-American studies and apply to Yale's Education Studies Program. She is excited for the Black Solidarity Conference because it is an opportunity to connect with black college students across the country and hear a wider range of experiences and perspectives. This year's topic is of particular interest because while mental health issues are stigmatized everywhere, it feels particularly so in the black community, so Donasia is looking forward to the creation of a space where black people can share and reflect on their mental health and are reminded to prioritize self-care. Nneka is a first year in Branford College and a political science major. She is to see all of the beautiful and amazing people who come for the conference and to discuss the extremely important issue of mental health.